Easter egg hunt games are fun for the whole family. and other games for kids. 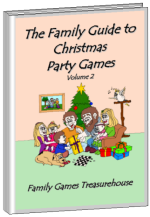 Here at Family Games Treasurehouse we have a wonderful range of Easter egg hunt games which can be played indoors or outdoors. 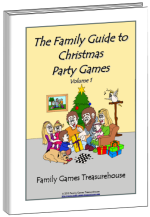 We have games suitable for very young children right through to teenagers. 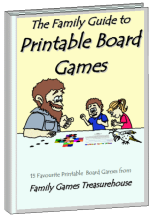 On this page we have listed our Easter games in age order making it easier for you to choose the perfect game for your family. 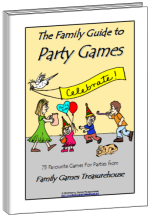 We also have heaps of Easter party games for kids. Make sure you take a look at them too. You'll love them. 3 stars (∗∗∗) means quite a bit of preparation involved - but definitely worth it! We hope that you will find some great ideas in our Easter egg hunt games. 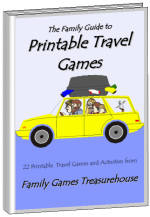 We have hundreds of free games for all kinds of occasions here at Family Games Treasurehouse. We hope you'll stay awhile and look around.